There’s power in purpose, especially a purpose we give to ourselves directly affecting our lives. A great example of this is the science fiction book, The Martian by Andy Weir. I haven’t finished the book yet and thus don’t know the ending. (no spoilers here) Mark Watney through unfortunate circumstances is left on Mars by his crew. It was completely not the crew’s fault as Mark assures the reader. He has to figure out how to survive on Mars with limited resources. At every turn he has to solve problems resulting in every action taken affecting his ability to survive. Mark’s sense of humor and independence brings levity to an otherwise very serious situation. Andy Weir’s story is a great example of the principles of managing the business of you albeit in the extreme situation of being stranded on Mars. For us here on this planet, we don’t need to worry about having no atmosphere to breath. For most of us we don’t have to worry about a finite food supply. Some may worry about where their next meal may come from but there is food available on this planet. The closed system that Mark manages including what to do with his waste, where his water is coming from, and single shelter is a microcosm symbolic of the environmental system on this planet. We just have the luxury of deferring our responsibility to others or the next generation. Mark doesn’t have that. He has to take responsibility for all of his actions and is accountable to the his life and death situation on Mars. Are we any different? Our life is what we make of it. The purpose we give ourselves or accept from an outside agency fuel our decisions and actions. On this planet we interact with others regularly. Our actions affect the product of our business, our future self, as well as others and the environment itself. The business of you is founded on purpose and taking responsibility for our actions and decisions and the effect they have on our lives, others and our environment. 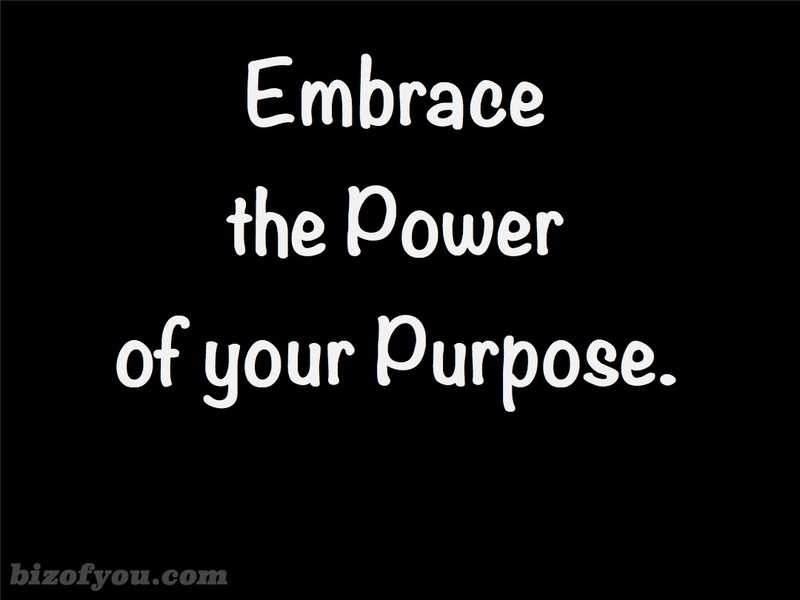 So embrace the power of your purpose, take action and create your life. Out of this creation, our happiness emerges without our focus on it. Be accountable for your actions and accept the purpose you give yourself.